The latest list of the world’s billionaires has been published by Forbes.com and this year there are more real estate billionaires. There are 157 people on the list who have made their billions from property, that’s 23 more than last year. Most of the twenty richest are from Asia-Pacific, four are from the US, three from the UK and one from the UAE. Overall the US has the most real estate billionaires with thirty-three. Generally speaking they have made their fortunes from commercial real estate rather than homes. 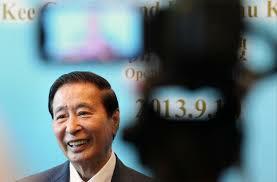 Hong Kong’s Lee Shau Kee is the richest property tycoon; at number 27 in the billionaires list with an estimated $24.7 billion. His portfolio includes commerce centers and hotels. China’s Wang Jianlin is next with $24.2 billion with mainly shopping centers and hotels. Third are the Kwok Brothers with $15.9 billion thanks to their investments in Hong Kong skyscrapers. American Donald Bren is the fourth richest property tycoon and number 67 on the billionaires list overall. His $15.2 billion fortune comes from his Irvine Company’s portfolio of shopping centers, apartments, golf clubs and offices, mainly in Southern California.